Jake is a relatively new member that came into recognition with a storm. 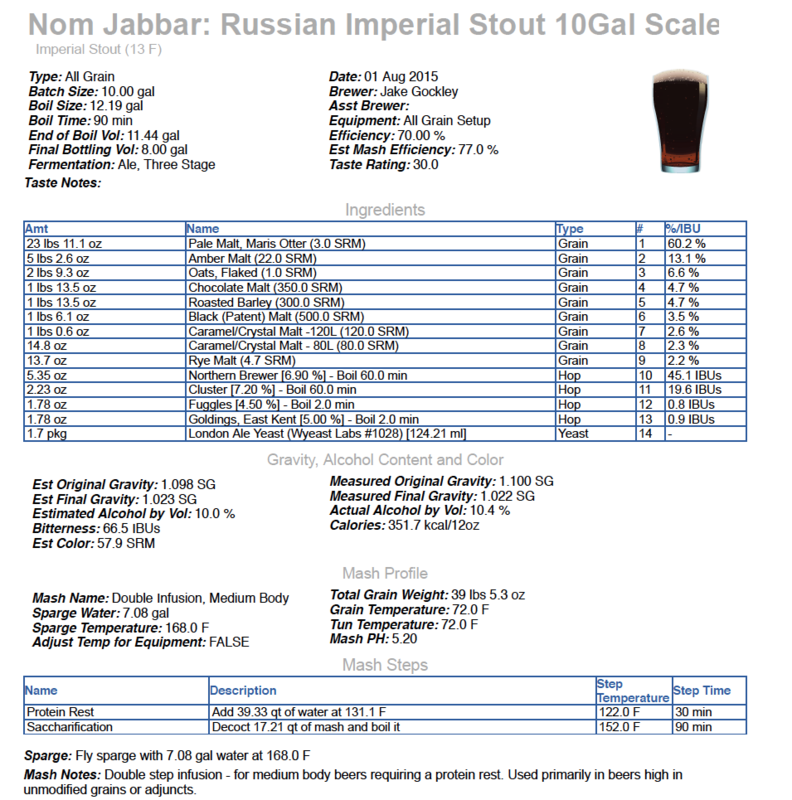 We recently held a stout competition as part of the April meeting and Jake’s beer “NomJabbar” took the top spot. Congrats, Jake! This beer was delicious. Unfortunately, Jake now has to brew every beer up to this standard. Good luck, Jake!